Bul FC become the only side to win away from home on the StarTimes Uganda Premier League match day one when they defeated Police FC 2-1 at Lugogo. Villa Oromchan and Timothy Douglas Owori scored in either half for the Jinja based side as they condemned Police to a 2-1 loss on Saturday. Ronald Nyanzi scored Police’s only goal in the game that Abdallah Mubiru’s side dominated in terms of possession. Police surfured a huge blow before the game with Ruben Kimera, Norman Ojik, Johnson Odong and Arafat Galiwango were all not cleared by the licencing board. Bul took advantage of Police’s post-game issues and got off to a flyer when Oromchan tapped home from close range after Cops’ goalkeeper Davis Mutebi parried Hamid Tibita’s effort into the striker’s path. The Cops who had looked composed in possession from the start remained calm and could have equalized immediatly only for Ronald Nyanzi’s effort to be charged down by Bul’s defense. Yunus Sibira also had a chance to double the visitor’s advantage before half time but could not beat Mutebi from close range. In the first minute of the second half, Paul Willa shot was well dealt with by Hannington Ssebulwanyo who initiated a counter attack that resulted into a second goal for Bul when Owori neatly tapped home a cross from the left. At the hour mark, Nyanzi gave Police hope when he tapped home from close range to reduce the deficit to one. Abdallah Mubiru introduced Pius Kagwa, Basaani Saafi and Hassan Kalega for Ocen, Shakur Makeera and Yasin Mugume in search for the leveller but the Jinja based side held on to win three points. 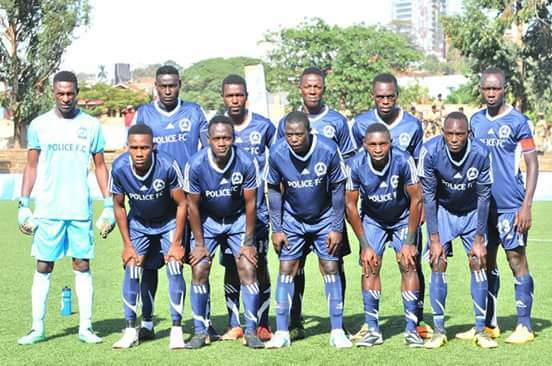 Police FC resume duty on Wednesday away to Paidah Black Angels while Bul will host Tooro United in their next fixture.